Chewbacca is a handsome brush coat male, @ 3 years old. He is great with other dogs and really enjoys the company of a pack. He is playful and loving and does well with the older children in his foster home. 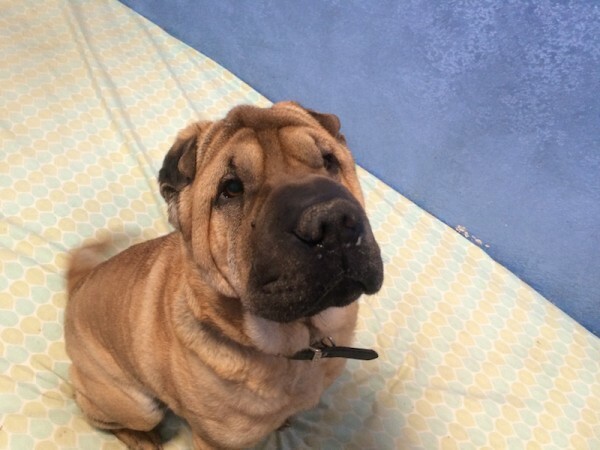 Chewbacca is a strong minded Shar-Pei and his foster mom says he will "talk back" if he is not happy with something so would not be a good fit for a family with small children. If you have room for Chewbacca in your pack, please fill out an application today.